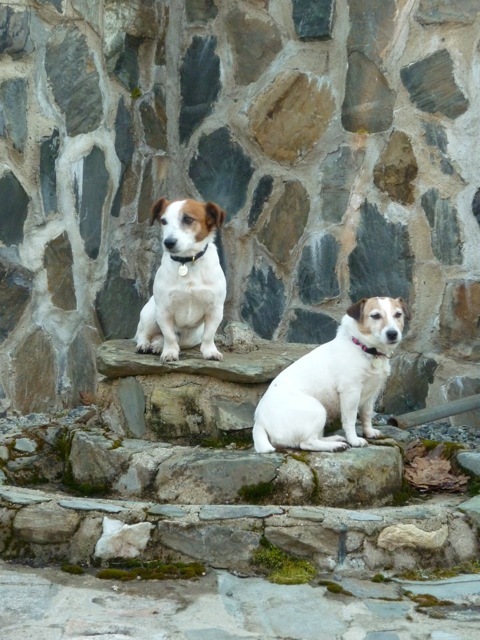 Dogs have always seemed to me an essential part of every well-conducted home….I had visions of leading an ideal life in a rambling farmhouse of great simplicity but extreme comfort…Those visions were rosy and indefinite, except for the dogs. I had clear ideas on the dogs that would surround and inhabit the farm. I would have several utilitarian dogs: a few setters to assist me in gunning for partridges; two springer spaniels to precede me through swamps and alder thickets during the woodcock season; a dachshund to make things uncomfortable for foxes and woodchucks that have retired to their holes; and above all I wished a lot of wire-haired terriers, for no particular reason except that they pleased me, even in their obtuse and imbecilic moments. In all, I figured, I would need about forty dogs (“Dogs In a Big Way” in For Authors Only). Be sure to visit Rocky Pastures, the fulfillment of Kenneth Roberts’ “ideal life in a rambling farmhouse of great simplicity but extreme comfort,” from June 23 – July 14 during the Kennebunkport Historical Society Designer Show House. 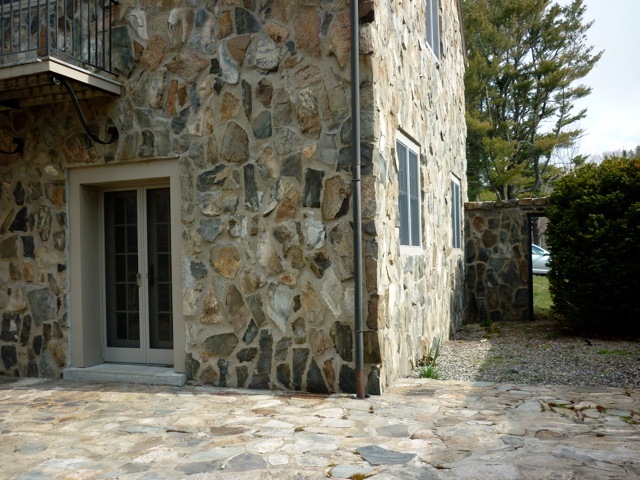 As we get closer to the Rocky Pastures Designer Show House, the show is making the rounds in the news. Seacoastonline.com posted an article titled “Show House to be Summer Highlight” in which they highlight the event and point out that this is the first time the estate has been open to the public. IN addition they highlight some of the designers for the Designer Show House, particularly Bree Clark, of Wright Interiors in Kennebunkport and Cathy Rowe of Kennebunk’s Well Dressed Interiors, who will be designing the family room. Again, the dates are June 23 – July 14, and visit the Kennebunkport Historical Society website regarding tickets. If you live in the area, don’t regret missing this event! The Design Show House, sponsored by the Kennebunkport Historical Society, is only a month and a half away! The Show House runs from June 23 – July 14 and is open to the public at $20 per ticket. This is a great opportunity to see the estate of a great historian and author, so if you’re in the area, be sure to visit! Monday, June 25 – The Colony Hotel – Lunch and Learn – Featured speaker is Joyce Butler, historian, archivist/curator, and writer. The topic is “Kenneth Roberts: The Man.” Guests will look at the talents and colorful personality of one of America’s most loved writers of historical fiction. Butler will chronicle his life at rocky Pastures and tell anecdotes of his family and friends. This intimate portrait is sure to delight all. Tickets to the show house are included. $45 per person. Monday, July 2 – The Colony Hotel – Lunch and Learn – Featured speaker is Sandy Oliver, renowned food historian and writer. The topic is “Kenneth Roberts’ chapter on food in his book, Trending into Maine. This chapter unleashed a torrent of reader response that intiated the cookbook, Good Maine Food, authored by his neice and secretary, Marjorie Mosser. Tickets to the show house are included. $45 per person. Monday, July 9 – The Nonantum Resort – Lunch and Learn – Featured speaker is etiquette specialist Andrea Pastore. The topic is “Navigating a Place Setting.” Andrea will present ettiquette situations and thoughtful, fun and useful solutions. For more information about Andrea, visit http://etiquettesolutionsbyandrea.com/. Tickets to the show house are included. $45 per person. I find Joyce Butler’s Lunch and Learn rather intriguing! If you have a chance to visit any of these events, feel free to let me know how they went and what you took away from these events. Keep your eyes open for forthcoming posts on Rocky Pastures as we lead up to KHS’s Design Show House. Perhaps I may be regarded as allergic to noise. Possibly I am – and then, again, I may merely be one of a multitude who realize that noise is a form of torture created and tolerated by idiots. 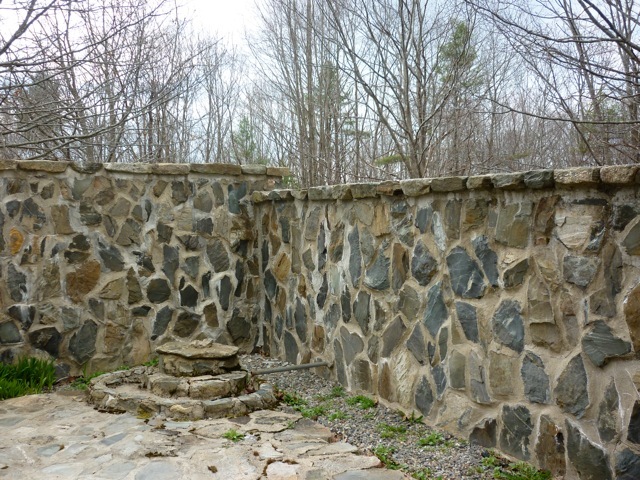 Kenneth Roberts’ search for solitude culminated with his building of Rocky Pastures in 1938, but as stated in my previous post, his search first led him to what he eventually called Stall Hall. Stall Hall is the subject of his humorous essay “The Little Home in the Country” in For Authors Only. In this essay, he comically relays his toils and trials of making his home a fortress against the outside world and the noise it brings. I contrasts his toils of renovating Stall Hall with the supposed ease of renovating as presented by the “experts” of his day. In most of these whimsical pieces, a young wife leads her husband into the country, shows him a semicollapsed cottage, and talks him into buying it. Then the two of them, with an old hammer, a borrowed saw, and a few secondhand nails, proceed to hammer it into perfect condition. I do…desire to cry a bitter cry against the manner in which occupants of little homes in the country, and prospective occupants of such homes, are led to embark on ventures without being warned of the grief that may await them if they permit themselves, as I once did, to believe implicitly in catalogs and incomplete directions. In honor, I’m sure, of his toils with Stall Hall, Roberts’ developed a motto for his home, “Nobody Ever Told Me About That.” As stated in my previous post, the solitude of the area in which Stall Hall resided would soon be disturbed by the “first green, first and second fairways, and second tee” of Webhannet Golf Course (see an article dated in Oct. 2010 on the then-sale of Stall Hall from which this quote came) and his neighbor’s garages. Upon making the decision of devoting his energies to writing historical fiction, Roberts, along with his friend Booth Tarkington, purchased another stable nearby and converted it into a “New England-Spanish workshop with a courtyard capable (I fondly imagined) of frustrating people determined to drop in for a cozy chat when I was most eager to work” (I Wanted to Write, 169). He would name this Blue Roof. I’ve yet to find in any of the resources I have what Roberts’ thought of Rocky Pastures after its construction, but I can only imagine that he had found what he was looking for. Surrounded by natural beauty, his study walled in by the walled garden-far away from any neighbor or golf course-and separated from the highway by a half mile driveway, Roberts could now write without the distraction of the world. ***Note: Stall Hall was for sale at the publishing of the Oct. 2010 article “Kenneth Roberts and His Beloved Money Pit” in the online version of Portland Monthly. According to verani.com, Stall Hall sold in March of 2011 for $755,000. 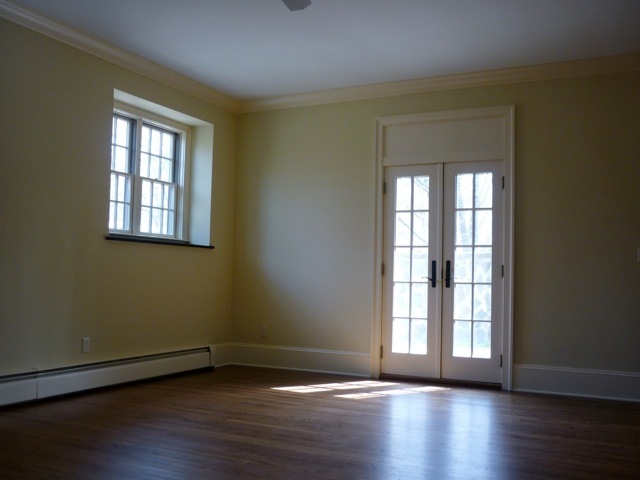 The french doors of the study lead out to the walled garden. Immediately to the left upon exiting is the water feature. Photo courtesy of Paula Robinson Rossouw. The last photo here is of Roberts’ study today. This room, among others in the house, will be transformed by various designers, including Paula Robinson Rossouw, from June 23 – July 14. Be sure to visit! Walled Garden with the water feature (missing the statue). One can only imagine the greenery and flowers that filled this garden. Photo courtesy of Paula Robinson Rossouw. In his biography, I Wanted to Write, Kenneth Roberts tells of his search for a quiet place in which to do his research and writing undisturbed. The genesis of this long search for solitude is difficult for me to pin down (in I Wanted to Write, page 143, in the midst of retelling his travels in Europe as a foreign correspondent on immigration [I believe this is correct], which is roughly around 1919 if my reading is correct), but what can be said is that Robert searched high and low in both Europe and America for his ideal spot in which to write in peace. No subtle premonition warned me that the local golf club might build a practice tee beneath my workroom windows: no ominous portent indicated that neighbors would feel an urge to place garages in my front and rear. One method Roberts pursued to gain privacy from his neighbors and the seasonal golfers utilized his love of nature. In “The Little Home in the Country,” Roberts provides a humorous account of his trials and errors when trying to plant bushes and vines that were to serve as a barrier to the outside world. 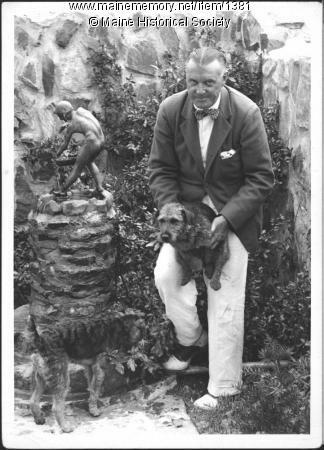 The focus of Roberts’ wit and sarcasm are those “persons who write whimsical pieces for the papers, giving readers the idea that a farmhouse can be remodeled as cheaply and as easily as one can buy a second-hand automobile.” The implicit target of his humor and sarcasm, though, is himself and his sometimes futile attempts at growing greenery with the ease promised by the experts in the nurserymen’s annuals. Roberts tells of his battle with unruly hedges (the Laurel-leaf Willow), stout snout beetles that were to ants as cows are to humans, and fruitless fruit trees. Roberts most trying battle was with the bittersweet vines. In the case of my vines…the tip of each bittersweet tendril acts as a summer resort for innumerable aphids; and when these tips rest against a painted surface, the aphids leave unsightly smudges on it – smudges that can be obliterated only with two coats of paint. Roberts search for solitude, then, seemed elusive while at Stall Hall considering his battles with encroaching golfers and neighbors, and the endless pursuit for the perfectly behaving greenery. Roberts' study opened into the walled garden. These two spots best encapsulate Roberts and his passions. Photo courtesy of Paula Robinson Rossouw. When Roberts built Rocky Pastures, though, he succeeded in finding his long sought-for solitude by having his study surrounded by a walled garden. Though the walled garden is now more of a walled courtyard, one can only imagine the greenery and flowers adording the walled garden, easily viewable from Roberts’ study. In my opinion, these two spots – more than any other at Rocky Pastures (except the duck pond) – encapsulate Kenneth Roberts the man, especially his passions. 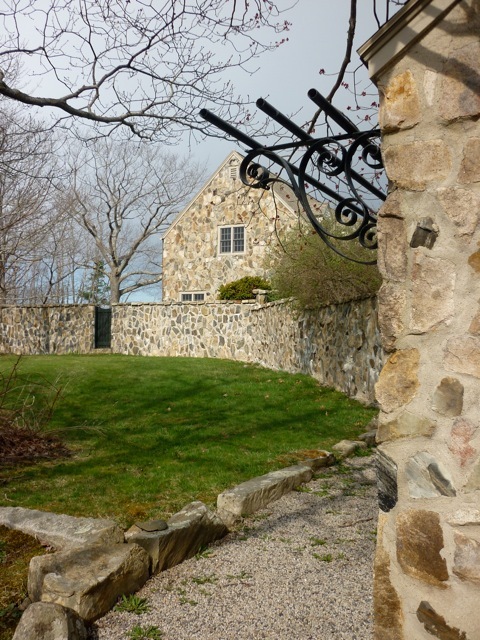 On June 23-July 14, the Kennebunkport Historical Society will be hosting a Design Show House at Kenneth Roberts’ estate, Rocky Pastures. According to the website for the show, this is the first time the estate has been opened to the public. Various designers will be designing the rooms of Roberts’ house. The cost per person to view the estate is $20. The tickets are available through the Society, the Kennebunk /Kennebunkport Chamber of Commerce and the Nonantum Resort. If you’re up to an evening gala on the grounds of Rocky Pastures, then join the Society on Friday evening, June 22 from 5:30 – 7:30 p.m. Tickets are $75 per person and $60 per person for Society members. For tickets, call the Society at 967-2751 or email kporths@roadrunner.com All gala tickets must be pre-purchased (information from the Designer Show House website). There wil also be guest speakers during the public viewing (see the Designer Show House website for dates and speakers). All in all, this is a great opportunity for not only Kenneth Roberts fans, but history buffs as well. The house, though for sale, is currently privately owned and went through a major renovation in 2006, so the estate is in great condition and looks very much like when Roberts lived there. Though built in 1938, the house has an old-world feel to it and is located in a beautiful, wooded area near a duck pond. 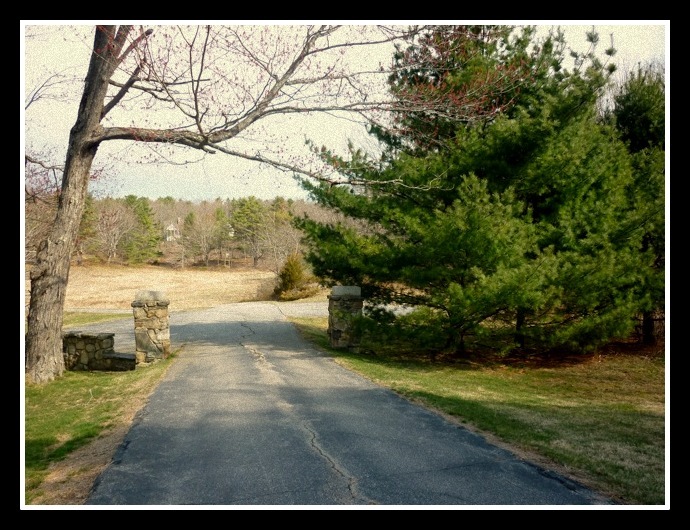 Visiting Rocky Pastures, then, will be like a step back in time for history buffs and an opportunity to appreciate the beauty of Maine for any who appreciate natural beauty.